Lily Ann Knotts, 89, of Weirton, passed away Saturday, April 29, 2017, at the Wyngate Senior Living Community. She was born on December 23, 1927, in Wilkinsburg, PA, a daughter to the late John W. Winwood and Gladys Renshaw Winwood. On November 10, 1950, Lily was joined in marriage to David Lee Knotts who precedes her in death in 2008. Lily was also preceded in death by her sister, Gladys M. “Mickey” Macik, and her brother, Jack “Winnie” R. Winwood. 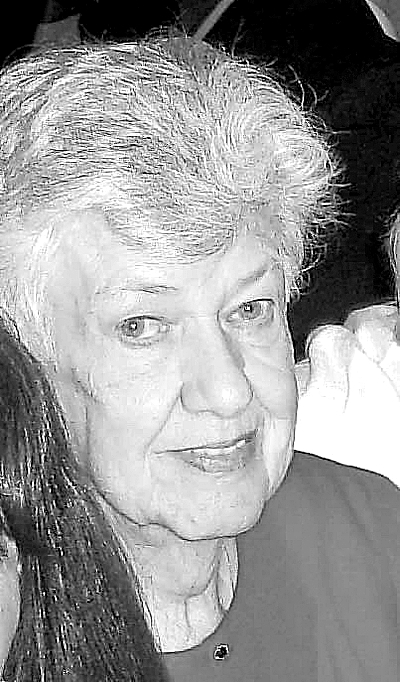 She was a charter member of Christ United Methodist Church in Weirton. She worked at Peoples Bank prior to marriage and also worked for Leonard V. Pensis, DVM., as bookkeeper. She was a very generous and giving person who contributed to many charities. Family was everything to her and she had a great love for her dogs all her life. Lily is survived by her daughters, Linda (Mark) Dennis of Weirton and Laurie (Jeff) Bertha of Weirton; sons David J. (Cynthia) Knotts of Columbus,OH,and Timothy (Pam) Knotts of Weirton; grandchildren, Wesley Knotts, Alex (Caitlyn) Knotts, Kasey (Ernest) Nicholas, Emily (Derek) Staley, Lynsay (Mike) Guida, Ryan Dennis, Jonathan (Kim) Knotts, and Brittany Knotts; and two great-grandchildren, Sophia Anne Nicholas and Vinny Guida, also survive. Visitation will be held Sunday, April 30, 2017 from 5-8 p.m. at the Steel and Wolfe Funeral Home, and Cremation Services, Inc., 380 Penco Road, Weirton, WV 26062. Additional viewing will be held Monday, May 1 from 10 a.m. until time of services at 11 a.m. at Christ United Methodist Church, 3598 Pennsylvania Avenue, Weirton, WV 26062, with Pastor Carol McKay presiding. Burial will follow at Chapel Hill Memorial Gardens, Weirton. Memorial contributions made be made in honor of Lily to Christ United Methodist Church, 3598 Pennsylvania Avenue, Weirton, WV 26062. Our family would like to express our thanks and appreciation to the staff of Wyngate Senior Living Community, to the Valley Hospice, Inc. staff, and to Dr. Cherian John for their love, care and support of our mother and family during this difficult journey. We are very blessed to have been involved with such wonderful, loving people.